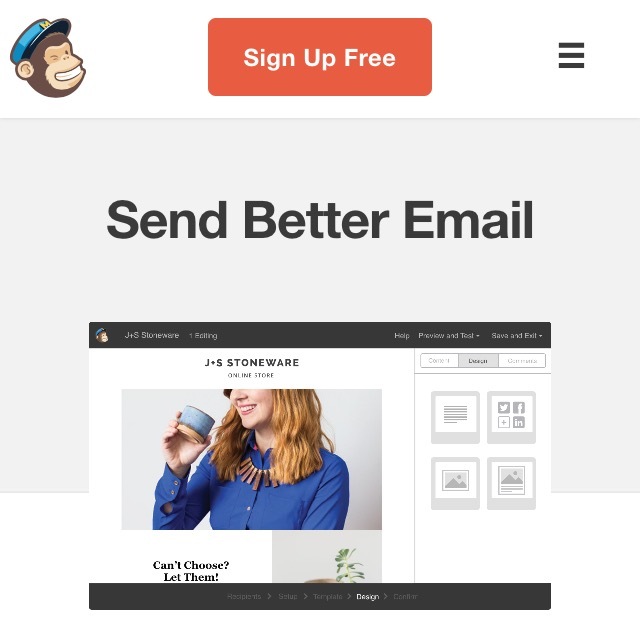 MailChimp is a place you can go to create an email marketing campaign, and they offer great features that can help improve them. Email marketing is important when you are trying to increase traffic to your website/link, and it will help improve your sales. With MailChimp you can send an update or your latest blog post to your email subscribers, and share it on social media with one click. Your subscribers can easily connect with social networking pages so they can share your emails, and you can also see who has “tweeted” about or “liked” your business. There are many different styles you can use for your emails and opt-in forms, depending on the email your subscriber uses (Gmail, Hotmail, Outlook, Yahoo, Apple Mail, etc.). MailChimp can determine the 10 most popular emails that your subscribers use, so you can pick the looks informatively. You also have the option to see a preview of your email formats to make sure it looks good (paid feature). Using a program like MailChimp is how scam artists build massive lists of subscribers, and then send out automated emails to sell you on their next big opportunity. Do not fall for it, and build your own list to sell things that you are passionate about and that can help people. Join MailChimp For Free Here! Learn How To Create a Business Online for FREE Like Me, and Use MailChimp To Build It! 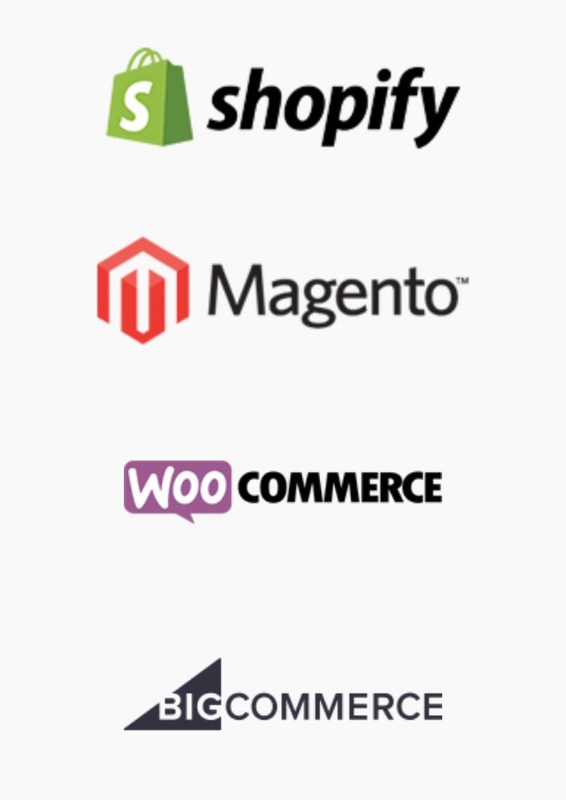 Connect Your Store – You can connect your Shopify, Magento, Woo Commerce, or Big Commerce account so you can sell more products. 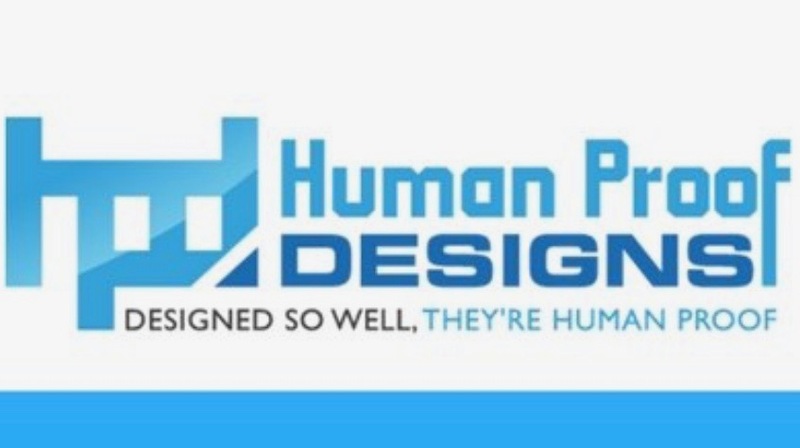 Email Design – You can create or add an email design to use, or you can use one of the professionally designed templates (there are hundreds to choose from). You can also save templates to fix later. Delivery Doctor – This feature tests your email campaigns to make sure nothing is wrong (broken links, slow load time, etc.). Interactive Graphs/Charts – These represent the customer interaction with your email campaigns. You can view subscriber activity, social stats, click performance, or have an overview of all the information. Open and Click Tracking – This helps you to see your subscriber growth. It will show you the number of subscribers that read your emails, and at what time they read them. Open By Location – This shows where your subscribers are located in the world. Subscriber Activity Reports – This chart may be the one you check the most, because it will help you determine the best ways to find new subscribers. You can see who received your email, when they opened it, the links they clicked on, who didn’t open it, etc. If your emails bounced (didn’t get sent to a certain subscriber) MailChimp automatically determines who to resend the email to, and which subscribers should be deleted from your contact list. Click Maps – This is the best. You can see the entire email or newsletter that you sent out to your subscribers, but there is a clickmap overlay so you can see which links your subscribers click the most. Campaign Reach – This chart from MailChimp is simple, but effective. You can see the total number of email marketing campaigns that your subscribers have opened, your potential customer reach, and the number of views your campaign link got on Twitter and Facebook. You can also see the number of re-tweets and likes the campaign received. Analytics 360 – This is a module that enables you to set goals and see your progress. It also shows you the revenue your campaign has created, and the return on investment. Mobile App – Can be used with both the iPhone and Android devices. This app is easy to use and it enables you to add subscribers to any of your lists, get updates about your campaigns, see your social media activity, and more. This great if you are constantly on the go. If you run a business, MailChimp’s email marketing service can track your sales from the first click in your email campaign all the way to purchase. MailChimp has almost every type of graph, chart, and table to help you develop more successful email marketing campaigns. Your dashboard at MailChimp is easy to use and navigate. You can see all of your past and current email marketing campaigns, as well as segment your lists so you can send different messages to different categories of subscribers based on where they live, their interests, and other distinguishing factors. 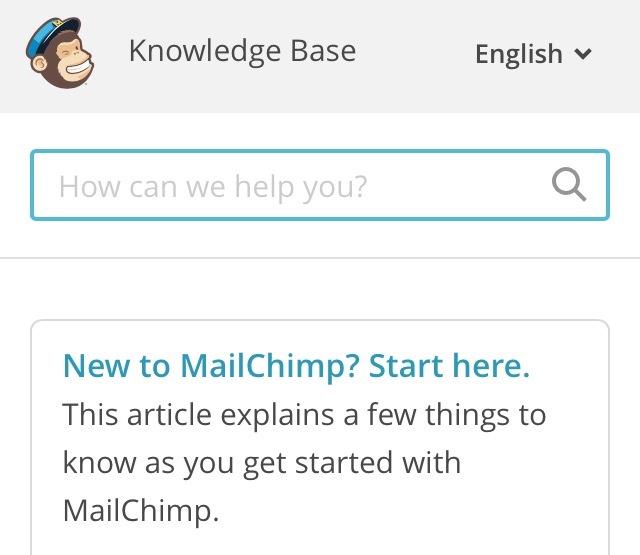 There are videos to you get you show you how to navigate and use MailChimp. There are free eBooks that give you advice about getting the best out of your email marketing campaign. There are also MailChimp Guides that help you with transactional emails, using your mobile device, managing your list, and MUCH more. 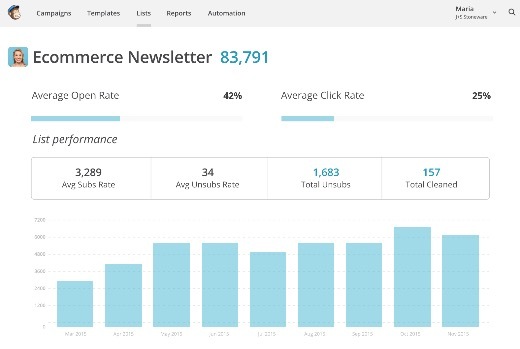 You can even compare your stats with other email marketers. MailChimp can also connect with your Google Analytics account (one of many tools that give you stats on clicks, site visits, sales, etc.). MailChimp publishes a 45-minute webinar every week, and covers a wide variety of helpful information. When you have access to all of these tracking and reporting tools it will make a huge impact on your email marketing campaigns, and help you reach the right kinds of people. MailChimp has MANY support options on their support page. You can use the search toolbar to find information on ANYTHING! 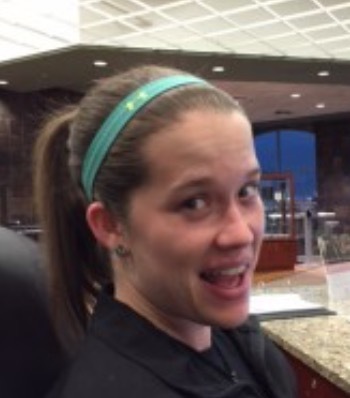 I typed in “softball” and it pulled up about 10 articles related to softball. You have the option to click “Email Us” to submit a contact form, where you can ask any questions or share concerns you may have. There is also a customer forum where you can share your ideas or suggestions about email marketing, and get help from fellow MailChimp users about things you might be struggling with. All of these plans come with unlimited emails. 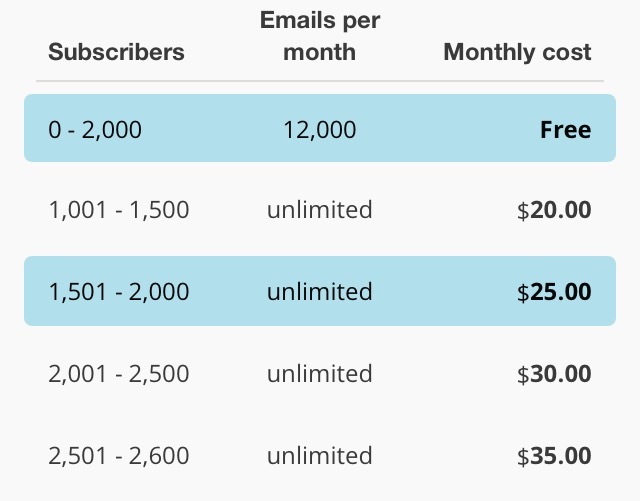 The more subscribers you get, the more it is going to cost. However, you will building a business with those subscribers and making a living off of them. There is also a Pro upgrade that gives MUCH more tools and training, along with more storage for subscribers, enables you to automatically send emails to the subscribers time zone, has more sophisticated reporting, etc. The list goes on and on. However, to get this Pro version you have to pay $13 up front and then pay $199/month after that. This option is definitely for the more experienced email marketer. MailChimp email marketing service gives a lot of features and functions to help you create a successful email marketing campaign. They make it fun, and anyone (beginner or expert) can use MailChimp to build their business. Having good support is a HUGE plus as well! If you want to learn how to create an online business and use MailChimp to promote your website, you need to check out my #1 recommended progam! 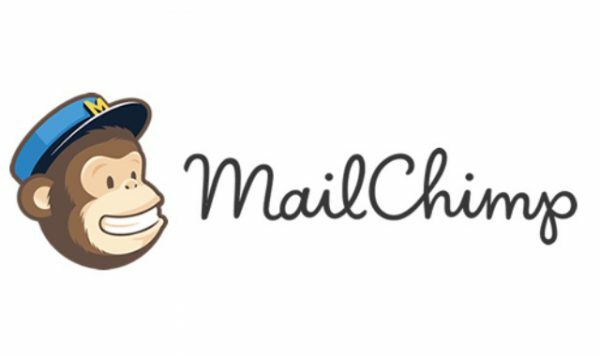 If you have any questions or have had experience with MailChimp, please leave a comment below and I will personally help you with anything you need. Thanks for sharing this, I have a Mail Chimp account but did not realize it could do so many things! I was especially interested in what you said about how you could share your emails on Social Media and track it. Thanks for the great review! Hey, one more thing. Can we add our own email list to MailChimp? Because I’ve thousands of emails list and I want one service where I can add all those emails and send email to those email addresses within one click. Can I do that with MailChimp? Will email send from MailChimp will be deliver to inbox of each recipients or some of them will be landed in spam folder? 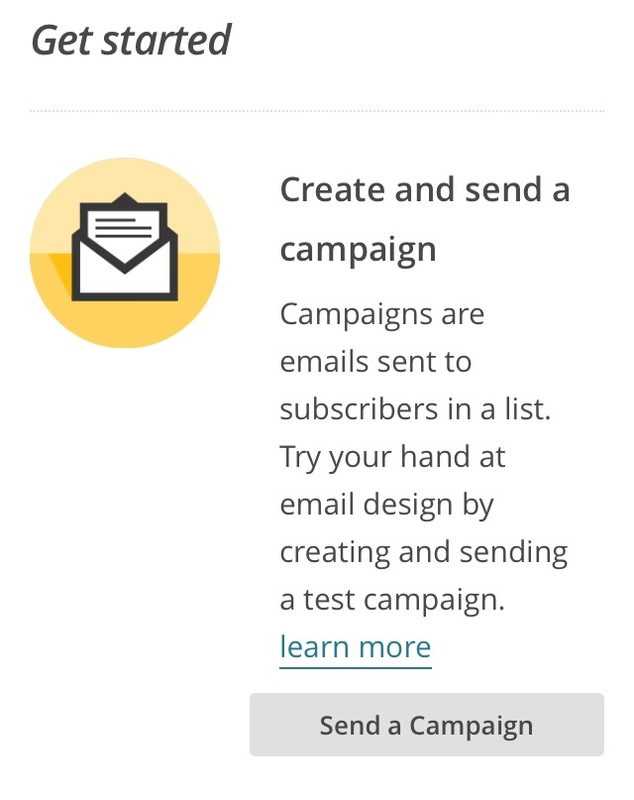 Yes you can add emails to a list with MailChimp! However, you might have to get the paid membership depending on how many subscribers you have and how many you send each month. The emails should land in their inbox. It also gives you stats on how many of your subscribers opened the email, and how many actually clicked on a link from it. This question is theoretical but I was wondering if it’s possible to lock our subscribers to below 2000 and emails to below 12.000 per month. But then I am thinking that by those levels I would most probably be making more than 50 bucks. All in all this a great campaign tool. If you go over 2000 subscribers it will ask you to upgrade, but you can just stay at 2000 if you want, and once you send 12,000 emails it will do the same thing. And you are correct, if you have that many subscribers you should be making more money.